I try to remind myself that the onslaught of dying actors and musicians from my formative years is perfectly natural. It still is horrible how 2016 has taken them away. At least the last word Carrie Fisher has spoken on screen is something to hold on to. It's hard to take because I thought she'd pull through. RIP Carrie. A Star Wars legend. Let Episode 8 be in her memory. I look forward to seeing you in the film next year. Fittingly, a friend and I had just decided on another viewing of Rogue One just before she passed. Her character has the last line in the movie and Carrie has the last casting credit. Cue audience applause. A woman I appreciated more after Wishful Drinking than I did in her youth, she also co-wrote uncredited a lot of screenplays for movies we've all seen. Her turn in When Harry Met Sally showed her acting chops beyond the type casting. She challenged Hollywood and mental illness and brought awareness into the public eye. We lost a princess, a sister, a heroine, and a multi-talented treasure all in one. With three days to go, here's hoping 2016 has failed us for the last time. 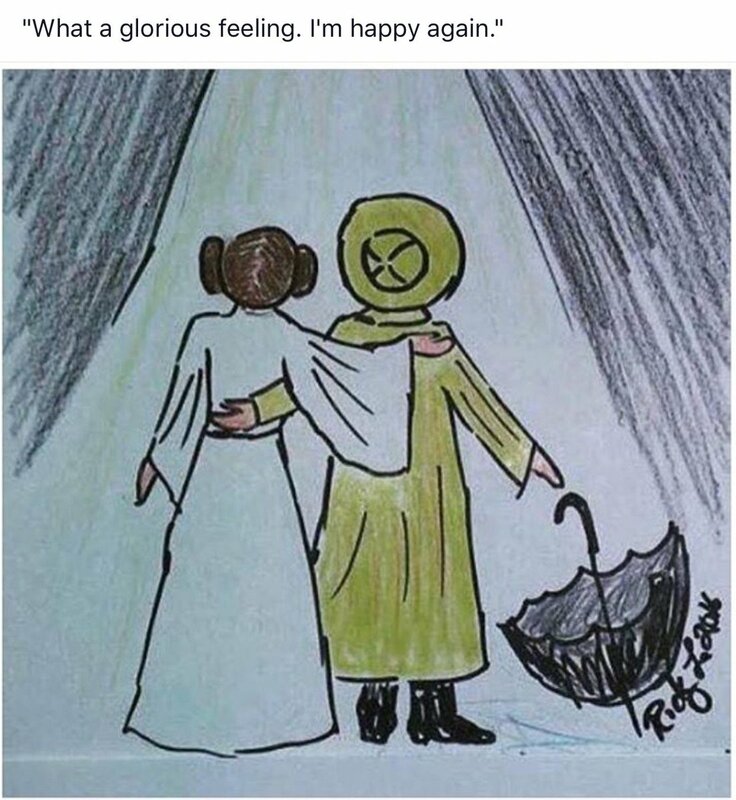 So very sad that her mother, Debbie Reynolds, has now died also! Possible stroke. What a rotten string of tragedies. Very sad story. RIP Debbie.